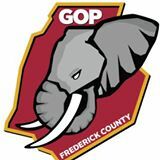 The honeymoon is over for the new Frederick County Charter Government. Councilman Kirby Delauter is mulling over a vote of..
With the proposal of Gov. Hogan’s budget comes the local fight of School and County budgets. In Frederick County the.. The FCRCC has gotten a lot of heat regarding their decision not to interview Wendi Peters for District 4’s vacant.. If you have been following along our articles about what has been happening, you already know that the bickering between.. The job of the citizenry and press is to keep our elected officials accountable in all aspects of government whether.. The media bombards society with so many different items, it is difficult for citizens to be involved in every level..